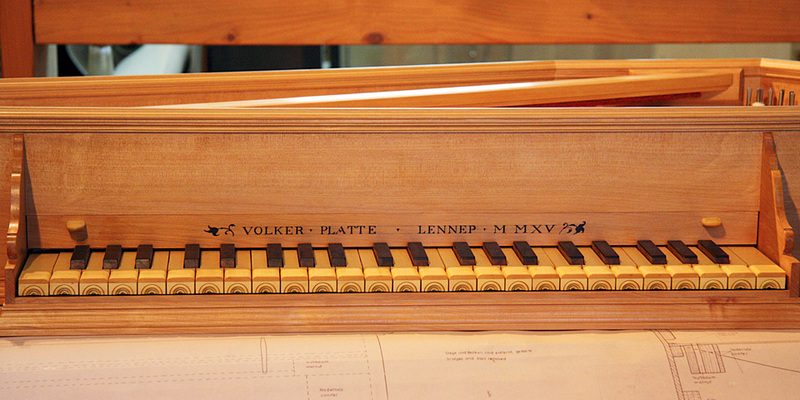 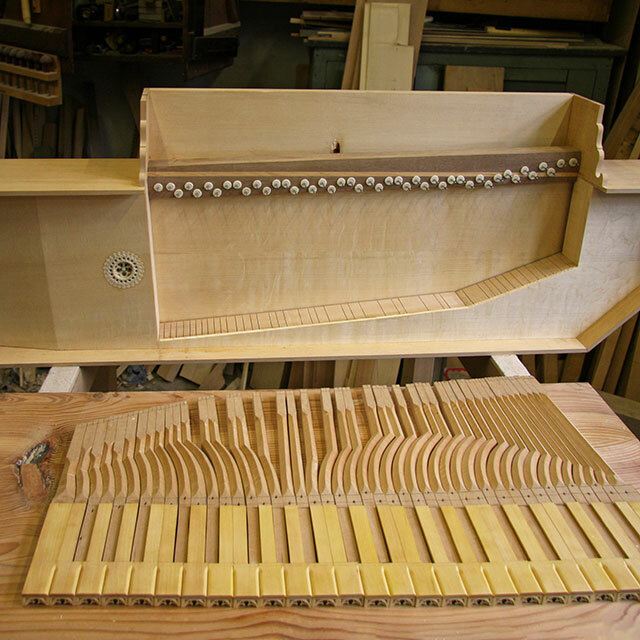 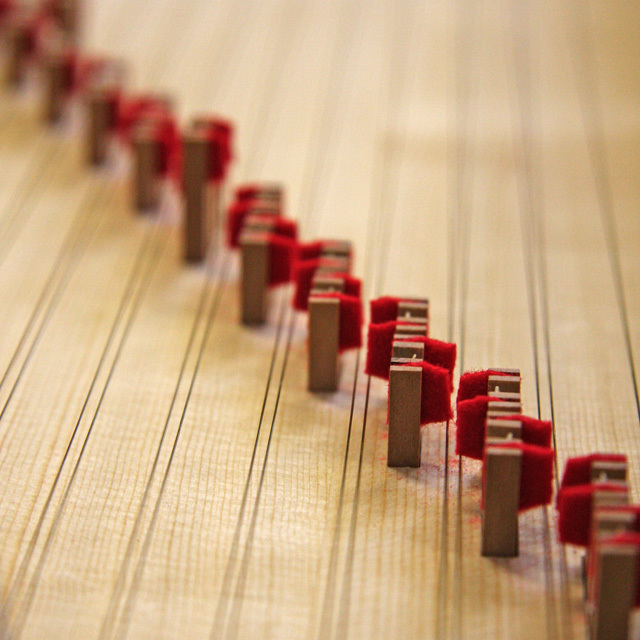 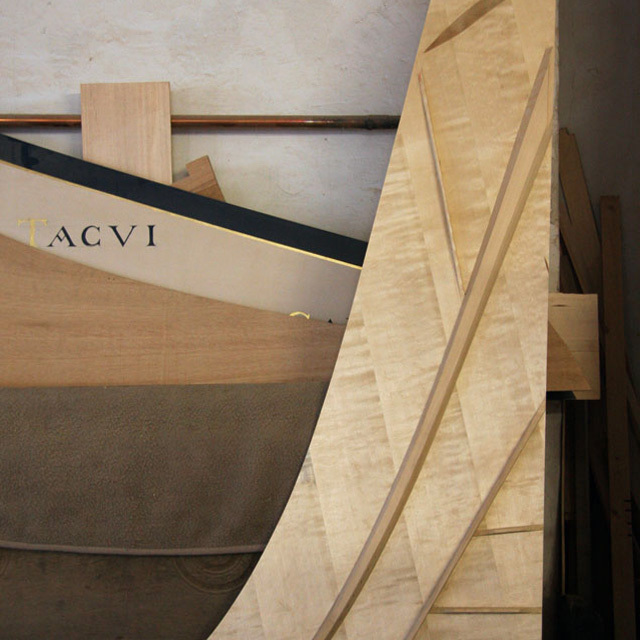 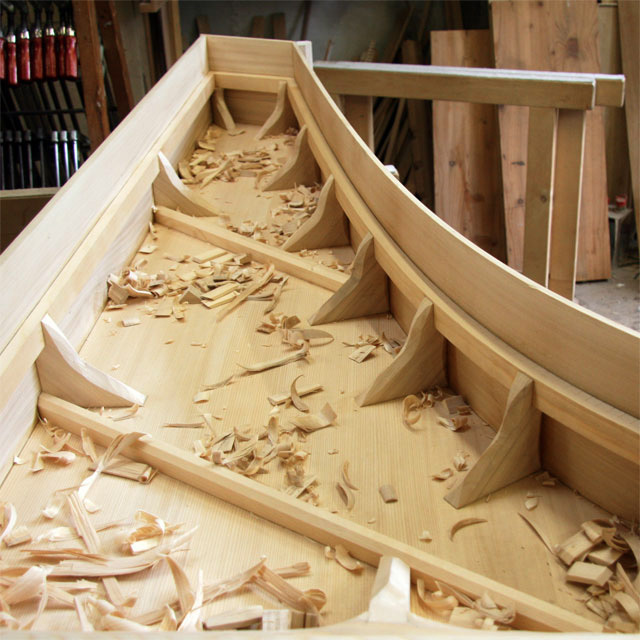 Most times several instruments are in construction at the same time – over there the raw case of a clavichord, aside of a nearly finished stringed harpsichord. 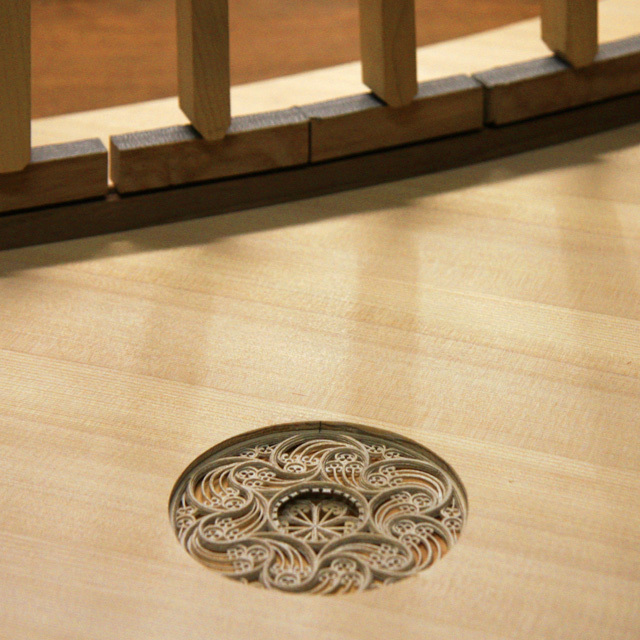 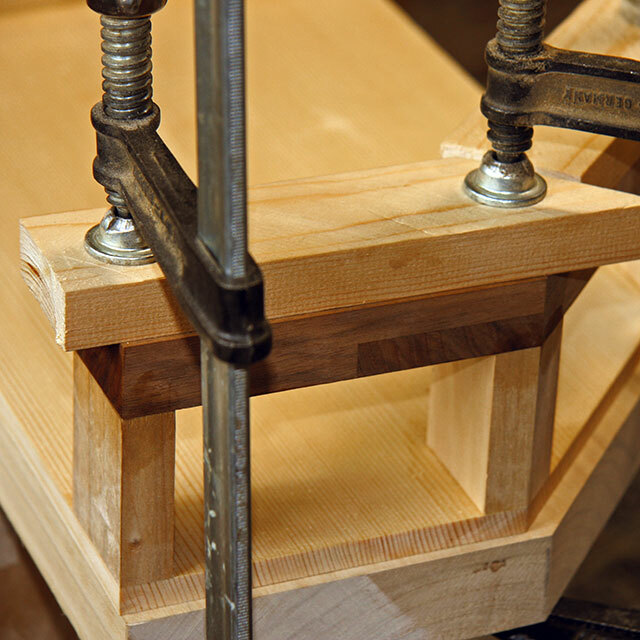 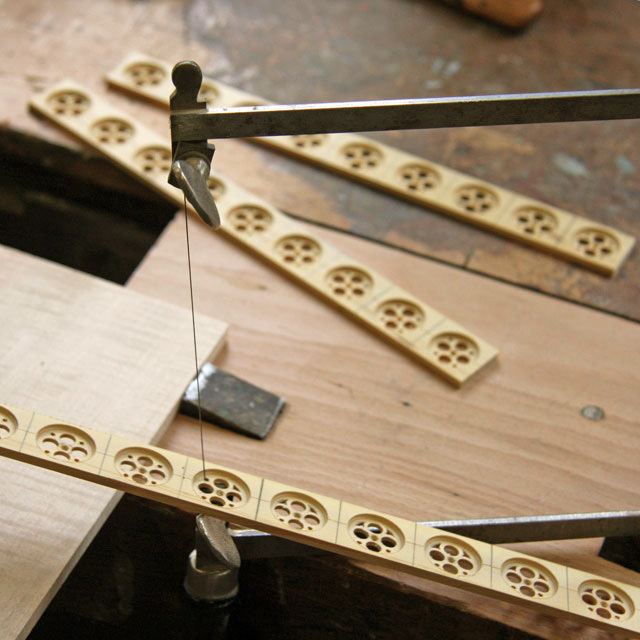 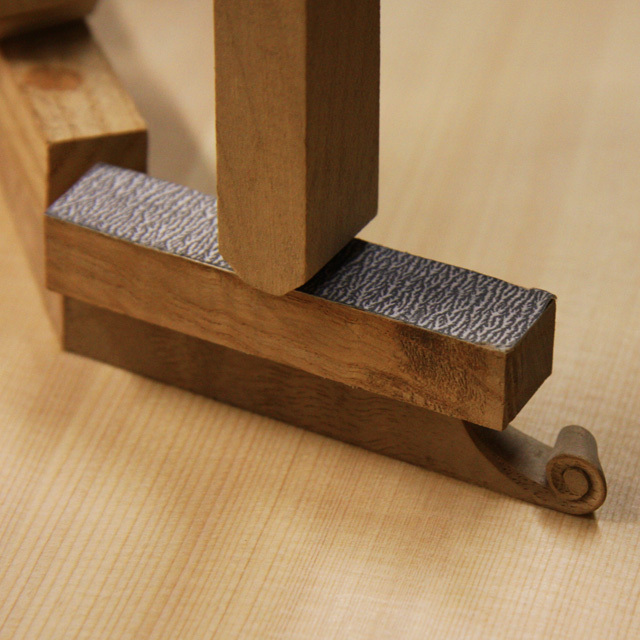 For many customers I have documented photographically the construction of their instruments. 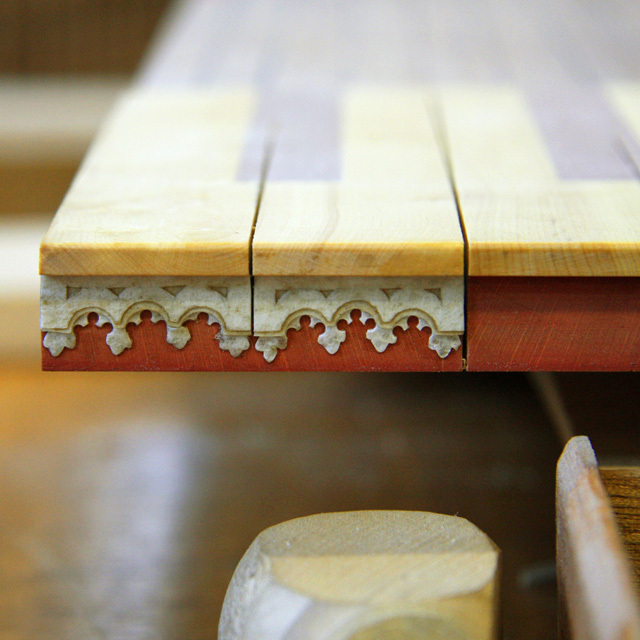 At each stage of the building process I let any interested person look behind the scenes. 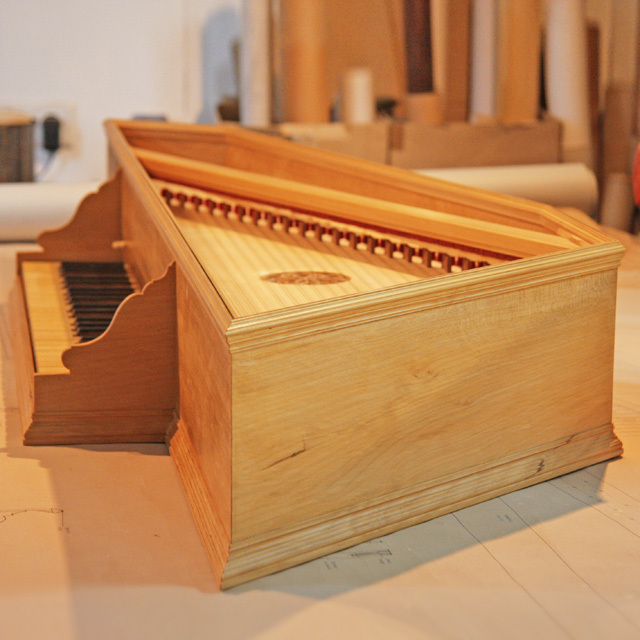 You can get some impressions from the photos shown here. 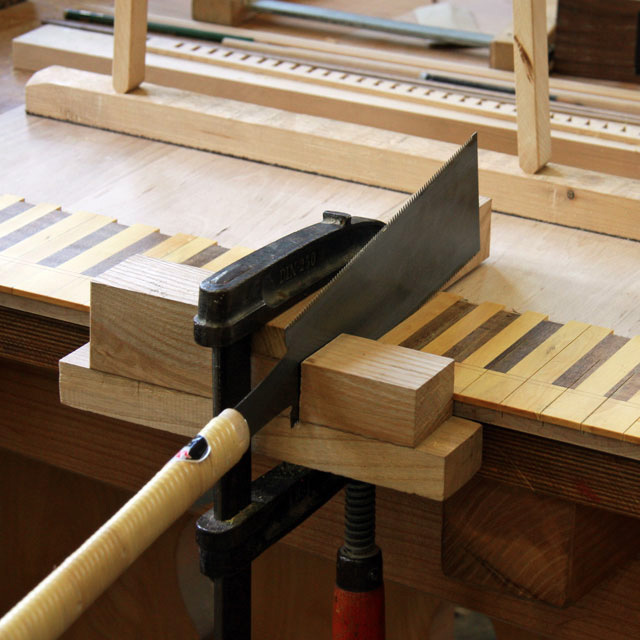 And should you be interested in visiting me at Martinsgasse in Lennep, I would be happy to personally show you round through my workshop and to explain the instruments under construction to you.